How can you duplicate this for your family? I have a few suggestions listed below. Spray paint the pots as desired (inside, outside, or both). Once dry, decorate with acrylic paints. Write the prayer need or praise on the popsicle stick. If the prayer need or praise relates to the military community, add a star. A blue star represents military families. A silver star represents Wounded Warrior families (remember, some wounds are not plainly visible, for example, PTSD and TBI). A gold star represents Gold Star families, families who have lost a military service member. 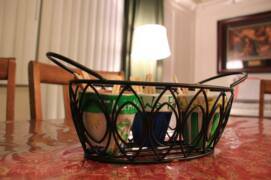 Names - For privacy purposes, the examples in the images above are generic. PLEASE, write names on yours. Pray for your loved ones by name....your friends, family members, etc. If you are praying for a Gold Star family, consider adding the individual's birth date and death date. Those dates, as well as holidays, are especially hard for Gold Star families. It might serve as a good reminder to call their family or send them a card. I gave our Military Prayer Pot a patriotic theme. 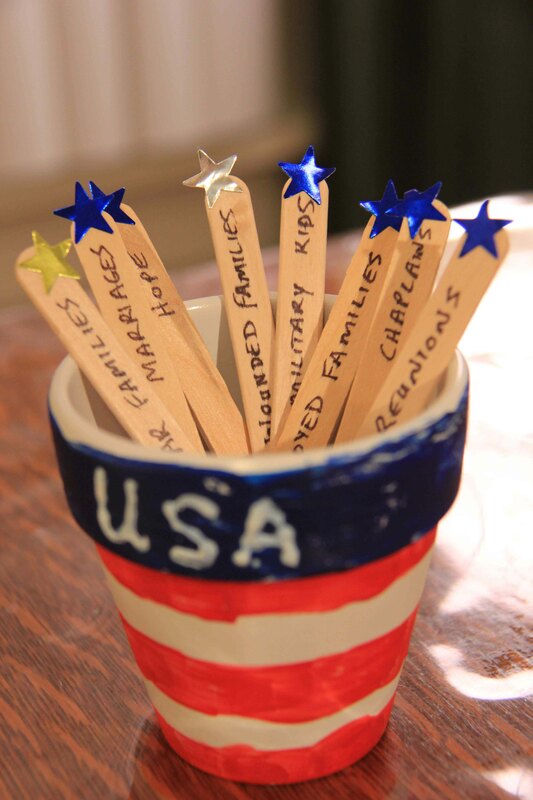 Here are some examples in what you can write on your popsicle sticks to be prayed for. This is not an exhaustive list. Names - specific people you are praying for! Additional prayer resources for the military community are found on this LINK. Praise and Thanks pot - God cares about our needs, but we want to make it our priority to praise Him for who He is...and to thank Him for all of our blessings, provisions, and answered prayers. We Prayed pot - This is where we put the sticks when we're done praying for that item. Prayer Requests pot - This contains all of our prayer needs and concerns, including the needs of the military community. 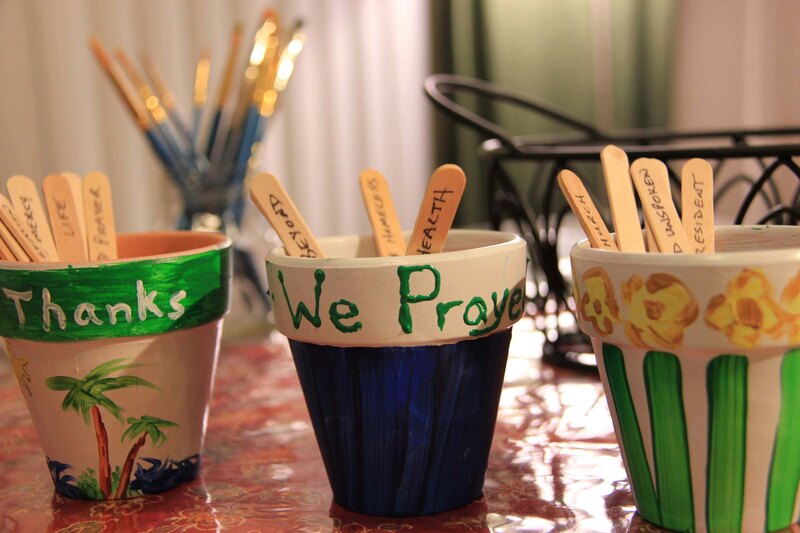 At our evening mealtime devotions, we each remove a stick from the Praise and Thanks pot and the Prayer Request pot. At the end of our prayer time, we place the sticks in the We Prayed pot. Eventually we'll cover all the items we want to be intentionally praying about, and we'll start over again. A practical way to remember the needs of the military community in prayer. Perhaps you already have a method of prayertime that works great for your family. Then you might wish to create a Military Prayer Pot. Set it out to remind you to pray for the military community...and to remind you of some of the needs to be in prayer for.